Elmer Junior Weasenforth, age 62, of Scherr, WV passed away Monday, February 5, 2018 at his residence. He was born March 13, 1955 in Oakland, Maryland and was a son of the late Elmer "Duke" Roosevelt Weasenforth and Luella Grace "Babe" (Hawk) Weasenforth. In addition to his parents, he was preceded in death by an infant brother. Mr. Weasenforth was a logger and had worked for the former Bible Logging Company and Hawk Brothers Logging. Family will receive friends from 6:00 - 8:00 PM on Wednesday, February 7, 2018 at the Schaeffer Funeral Home in Petersburg. Funeral service will be held 11 AM on Thursday, February 8, 2018 at the Schaeffer Funeral Home Chapel with Rev. Steve Landis officiating. Interment will be in the Maysville Cemetery. 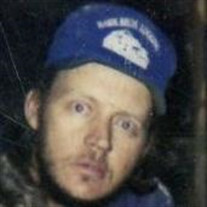 Memorial contributions may be made to the family, c/o Brian Weasenforth, 2070 Possum Hollow Road, Maysville, WV 26833.